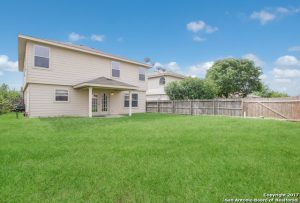 Beautiful and spacious home located in the gated community of Springwood. 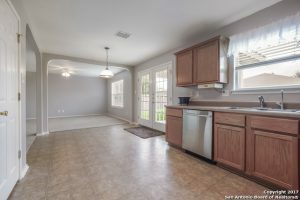 Two large living rooms provide plenty of room for family and entertaining. 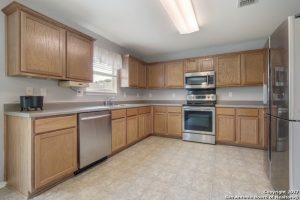 Kitchen has tons of cabinet space for storage and stainless steal appliances. Upstairs is an owner’s retreat with ample size bedrooms plus a flex room. Backyard has covered patio. Minutes away from Randolph AFB, 1604 & I-35. Close to shopping and dining. 9011 Walnut Springs is one of the most desirable areas in the entire Garden Ridge TX region. With excellent schools and a close proximity to the city. it’s an oasis just inside of the city. Thank you for reading about 9011 Walnut Springs, Universal City TX 78148.